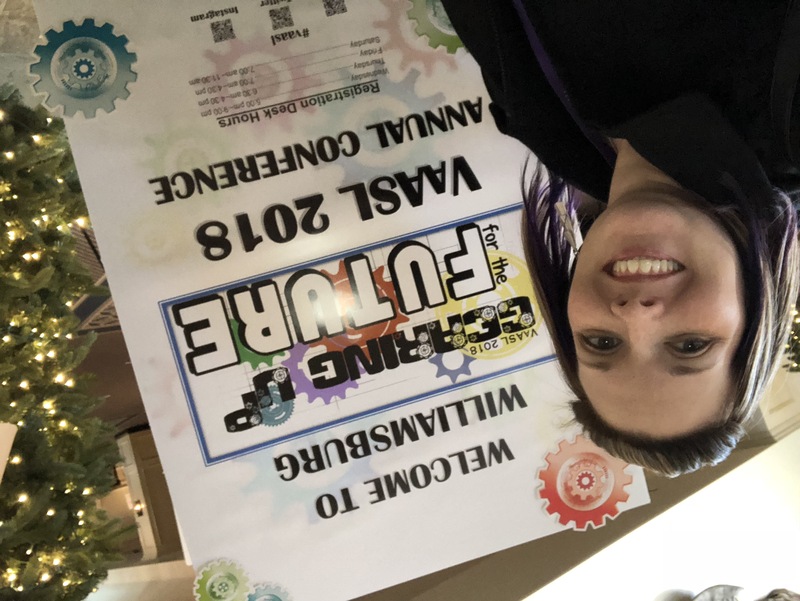 I had an amazing time at the VAASL conference in Williamsburg. 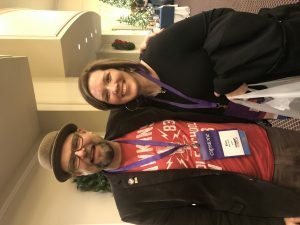 This was the first conference I have been able to attend. There were so many great sessions over the two days I was there. A lot of the sessions focused on makerspaces and creating a culture of reading in the school. 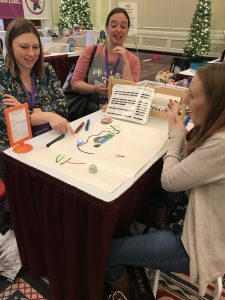 I enjoyed the makerspace area to enjoy creating and trying new ideas. 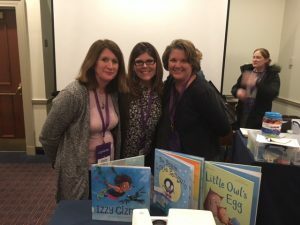 I was very inspired by the other librarians and their experiences. The final speaker was Alan Gratz. He was a great speaker and I can’t wait to read all of his books. 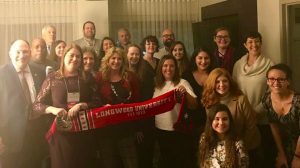 The best part was being there with the other Longwood students and alumni. 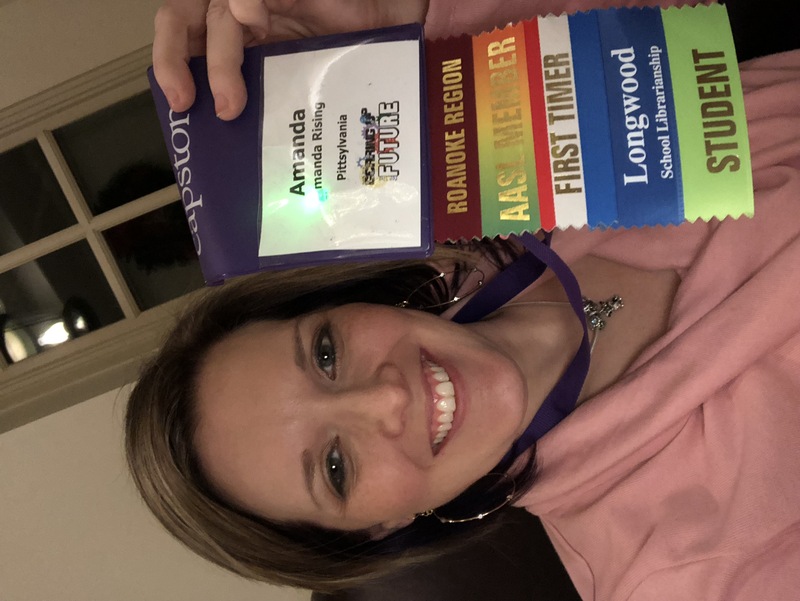 My name is JilliAn Moreland and I am a second year graduate student at Longwood University in the Counselor Education program, Clinical Mental Health Counseling Track. Last month, I attended the VCA Annual Convention in Norfolk, Virginia. It was an unforgettable experience that I got to share with my professors and fellow students in my cohort. 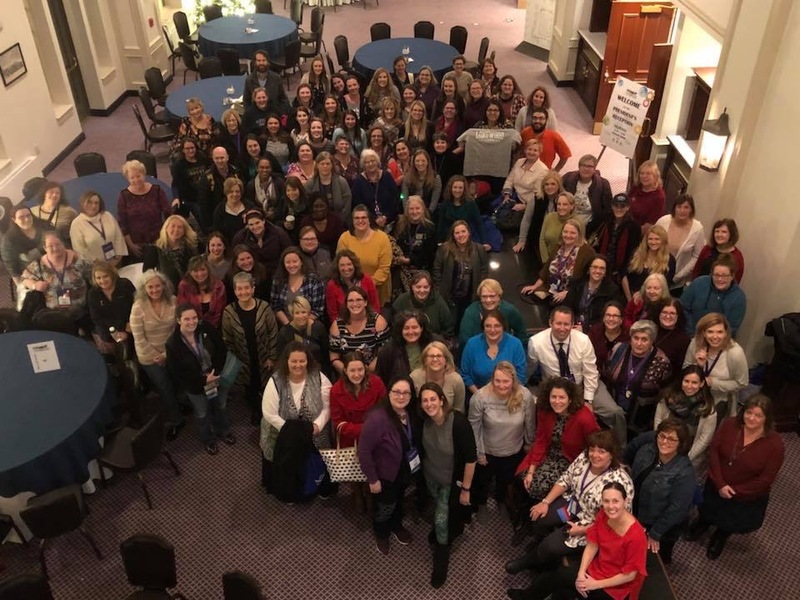 It was encouraging to be surrounded by counselors from all over the Commonwealth of Virginia learning and growing in the profession, together. There were various sessions, covering a handful of diverse topics. 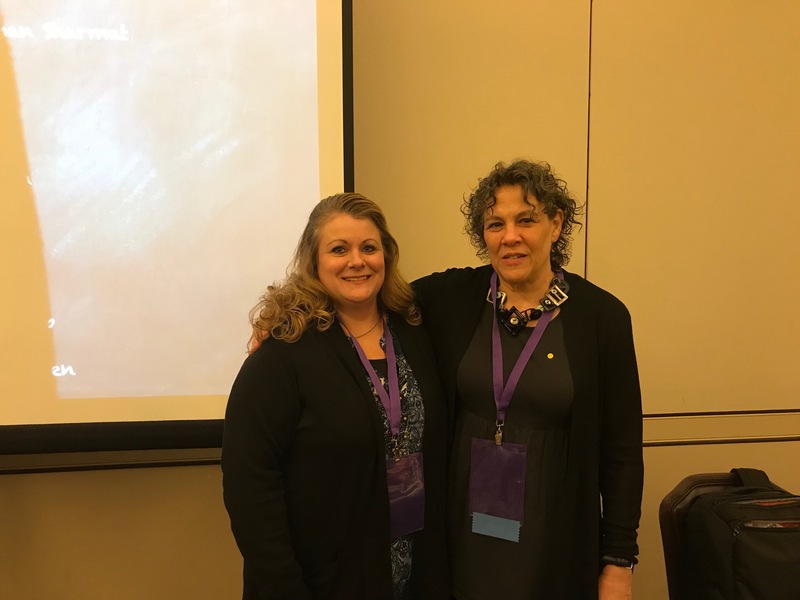 Topics covered the importance of trauma-informed care, self-care, ethical issues, and other various important topics. My favorite session focused on the importance of collaboration and advocacy for K-12 students in crisis. 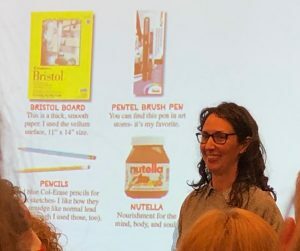 I also appreciated the session that discussed the importance of self-care as a professional counselor. I am very grateful for the opportunity to have received a travel grant from Longwood for this event. Without it, I would not have been able to grow professionally at this level. Additionally, it helped create a closer bond between the individuals in my cohort. For future students, I highly recommend attending conferences and stepping out of your comfort zone to become a better counselor. 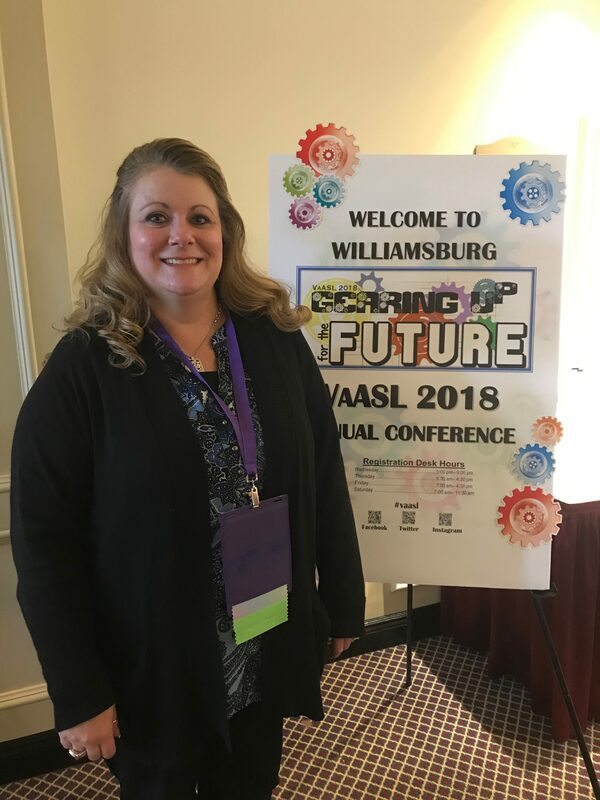 Attending this conference helped solidify my identity as a counselor, and I am looking forward to attending future conferences to represent Longwood University’s Counselor Education program. 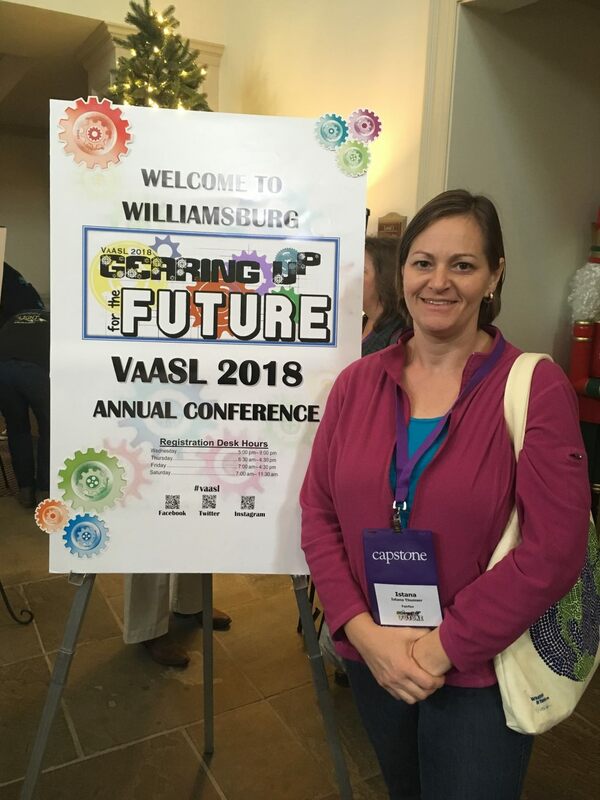 I just returned from a whirlwind weekend at the VAASL (Virginia Association of School Librarians) conference in Williamsburg. 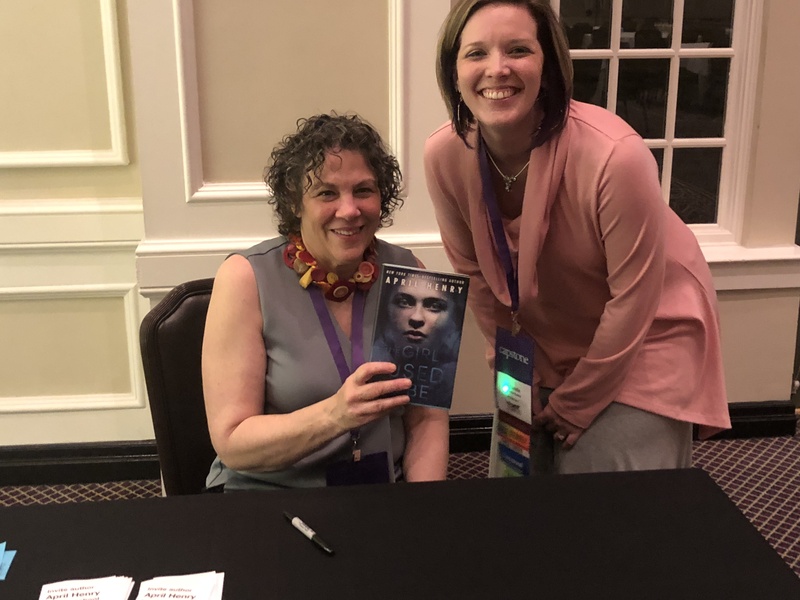 This was my first library conference and it was a memorable experience. I was exposed to so many of the latest and greatest in library trends, materials and online sources and received a wealth of information that will be useful in my future library. The most impactful aspect of the weekend was the focused sessions on emerging trends. They were far more in depth than I expected and detailed 50 new educational websites and apps, 82 children’s books published in 2018, augmented reality and virtual reality (AR & VR) for library use, audiobooks, library lessons and resources for the nonfiction books on the 2018 VRC (Virginia Reader’s Choice) list. 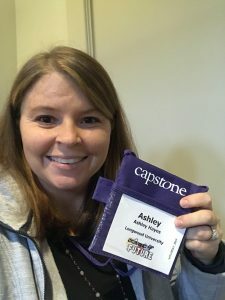 This conference was a surprisingly hands-on experience that made my library education come to life and made me even more passionate for library learning. It was a learning experience that was beyond what I get in my current graduate classes. 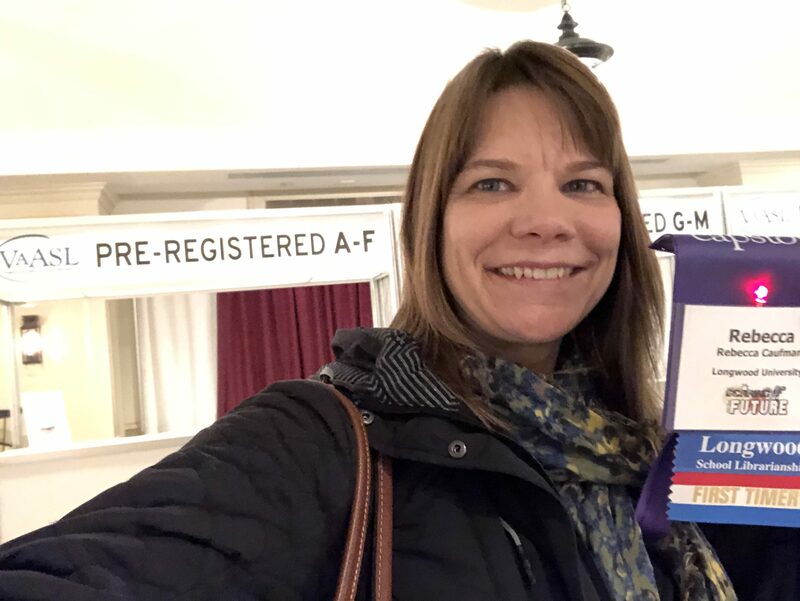 I learned so much from the conference and can’t wait to make attending an annual tradition since the experience was so meaningful. This year’s Virginia Association of School Librarians (VAASL) Conference was held in Williamsburg, Virginia on November 29 through December 1st. 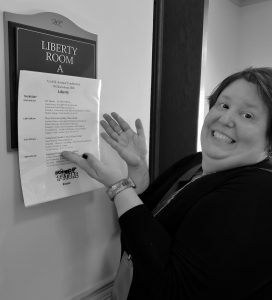 Attending this conference is a requirement for each graduate student in Longwood’s School Librarianship program. Since it was my first time attending the conference I got a special tag for my name badge and invitation to a tea where I got free breakfast and free books! The first day was jammed packed with activities that started at 9am and went to 9pm. I got ideas on being a first year librarian, makerspaces, digital resources, copyright law, and video projects. 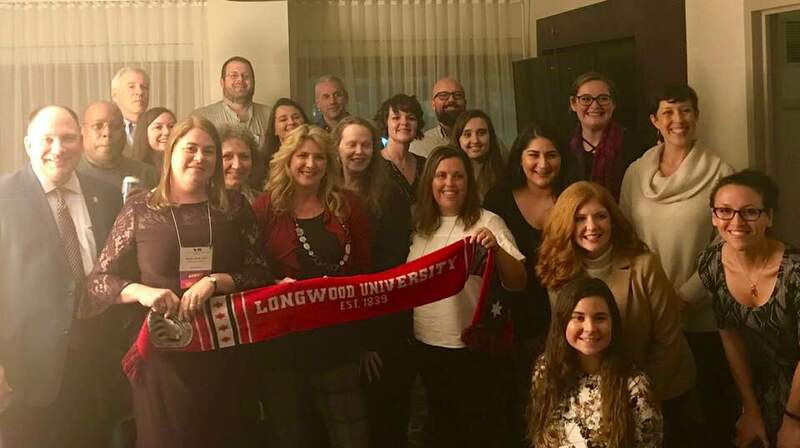 I ended that day at the Longwood University alumni gathering in a room that was jammed packed full of Lancers. 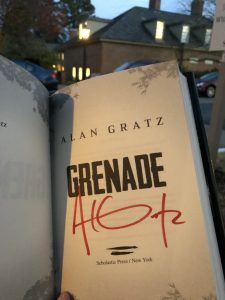 My second day at the conference I learned more about makerspaces, how to have a student driven library, and met some amazing authors – Alan Gratz and Victoria Jamieson. 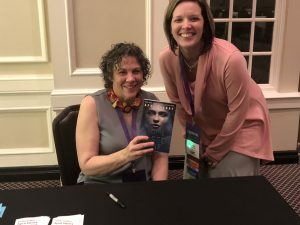 Hearing these authors’ stories was my favorite part of the conference. I am thankful that Longwood requires students to attend this conference. 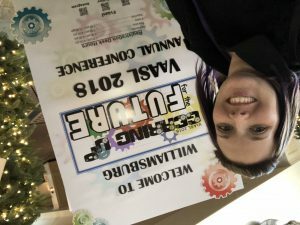 I see the conference as an important way to get inspired, encouraged, and connected with others in the field. 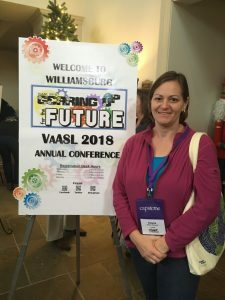 I was fortunate enough to attend the conference this year in Williamsburg. I learned so much there! One of the new things I learned were all the benefits of having a maker space in the library. In the keynote speech, Leslie Preddy, shared how students are able to use their creativity and problem solving skills to learn from informal activities that encourage the development of critical thinking skills and fine motor skills. These activities are self-directed and driven by the students’ own interests. 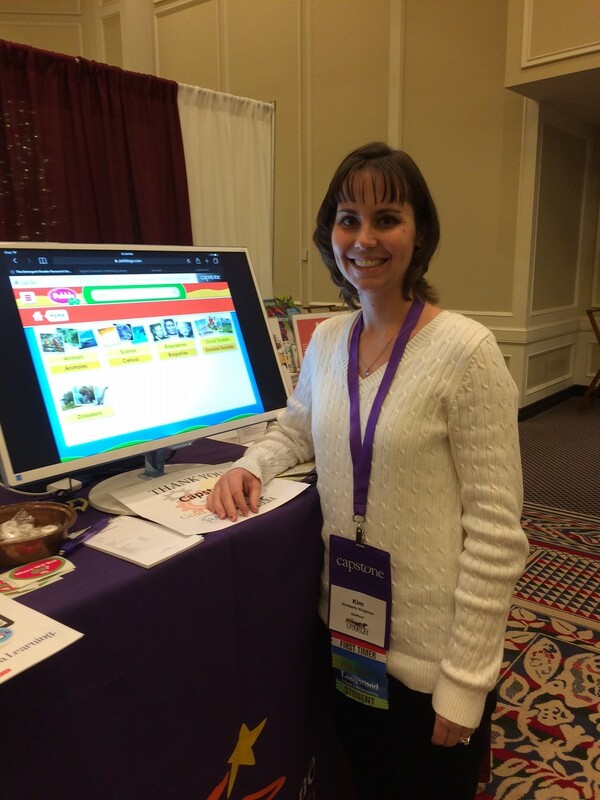 Creating library maker spaces is an easy and inexpensive project that can be done with donations and grants. Offering a variety of activities of different levels of difficulty helps students develop resiliency and perseverance, skills that they will use for the rest of their time in school, in their careers and for the rest of their lives. I look forward to attending more conferences!